2. Cut the potatoes and onions in thick slices. 3. Place the olive oil, the onions and the potatoes in a baking dish. 4. Place the fish, sprinkle with garlic herbs and squeeze some lemon on it. 5. Cover with the remaining potatoes and onions, season and sprinkle some fennel seeds on top. 6. Pour some oil and some water on the fish and bake in a moderate oven for at least 90 minutes. 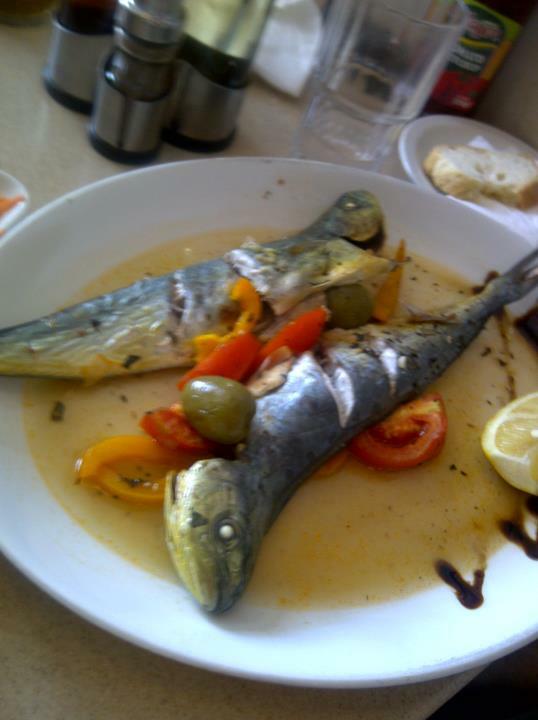 This entry was posted in By Course, By Occasion, Fish, Fish, Recipes, Second Course, Sunday Lunch and tagged Fish, food, Hut, Recipes, traditional maltese recipes. Bookmark the permalink.